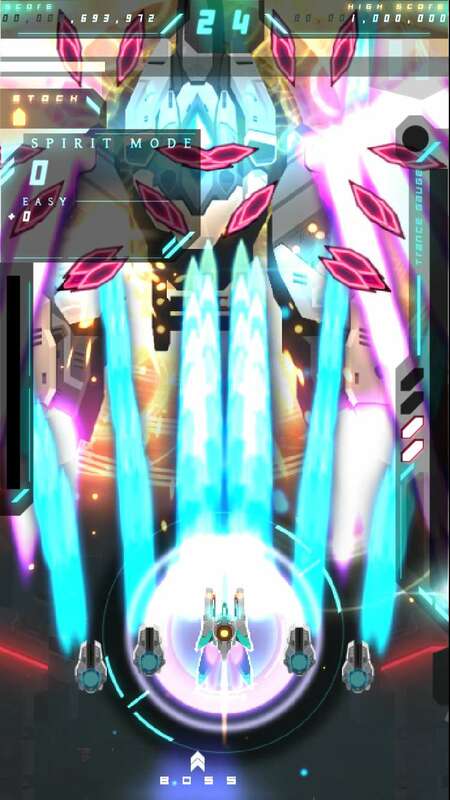 10 word description: Bullet hell sequel. New modes. Unlockable firing methods. Beginner-friendly. 10 word review: Beautiful, intense, and tough as you want it to be. You will like this if you enjoy: Bullet hell shooters. Seeing a screen full of gorgeous geometric shapes moving very, very fast. The good news: A truly beautiful experience, both visually and the way it sounds. The controls are as intuitive and unobtrusive as possible, with no on-screen buttons, and minimal swipe controls that are virtually impossible to get wrong. Even the menus are crisp, clear and as gorgeous as the rest of the game. The bad news: The game is hardly original, but then how could anyone genuinely expect a totally original gaming experience from the third game in a series within a genre that is as niche as bullet hell shooters? Arcadelife verdict: While it doesn’t really attempt anything groundbreaking, there’s a deeply compelling purity to the style, intensity and gameplay of DU3. The minor tweaks and improvements to what has gone before in this series are well-considered and definitely improve the overall experience. 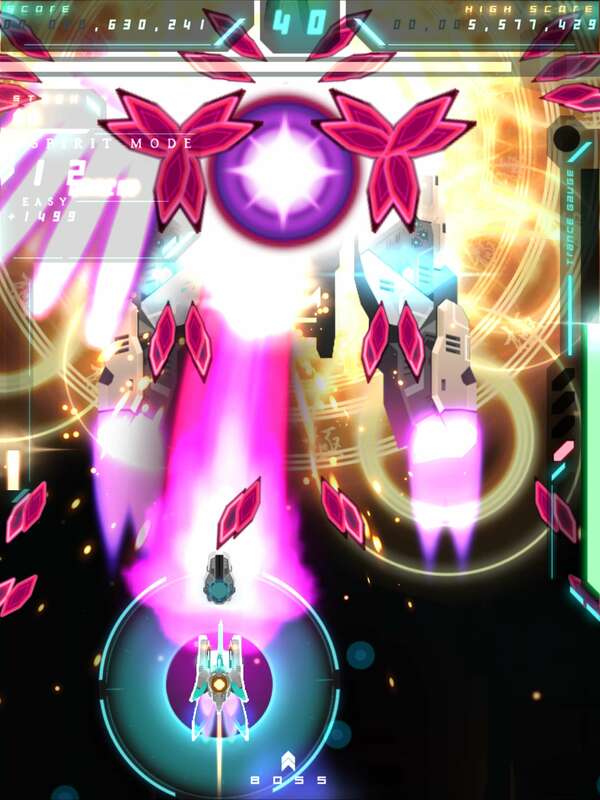 For bullet-hell fans, particularly fans of the genre on mobile devices, DU3 is an easy recommendation, with the very minor caveat that it isn’t going to blow your mind with its originality… only with its stunning beauty. There are a couple of things worth mentioning before I start: First, there’s no personal opinion (of DU3) or any kind of review material in this article because I have been asked not to publish a review until the game’s iOS release date – 10 August 2017. Second, the images in this preview are taken from my own iPhone 6 and iPad Pro, and they have been compressed to .jpg format to save space on my WordPress account, so any lack of quality in the images is because of the compression, not the game’s visuals. 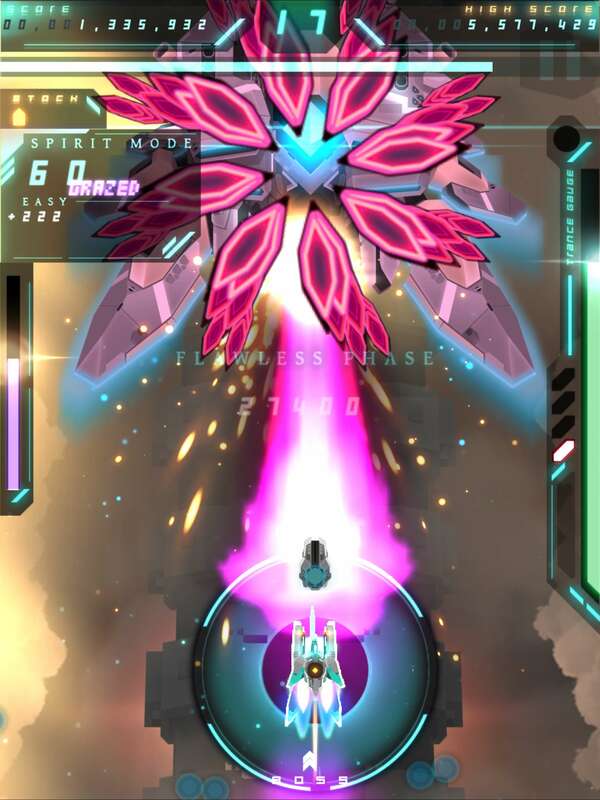 One thing I can get away with saying, is that I played the hell out of Danmaku Unlimited 2, loved every second, and I was still playing it on a fairly regular basis until a promo code for DU3 turned up. 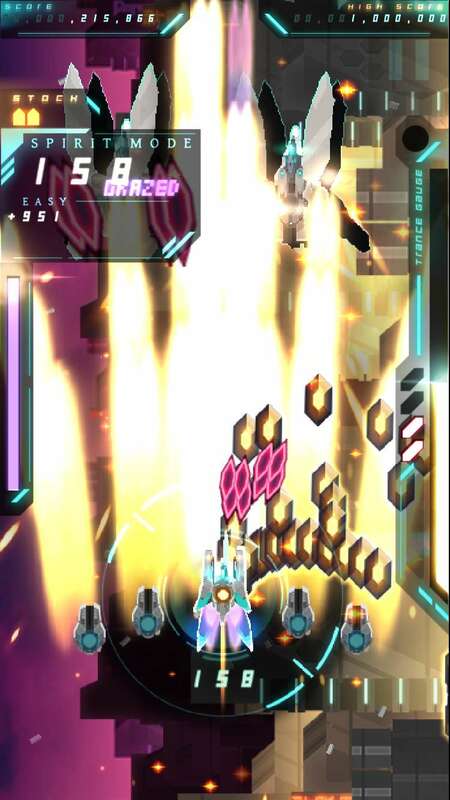 • Console grade Bullet Hell experience fully realized for mobile. • Medley of the best aspects of classic Japanese Bullet Hell shooters in a modern HD package with its own innovative twist. • Premium experience: Perfect 1 to 1 port of the PC Version with no Ads or iAP of any kind. • Pixel perfect touch movement with innovative virtual button free controls. • Epic campaign across 2 unique game modes each with their own mechanics and scoring. • Tons of weapon customization and extra unlocks. 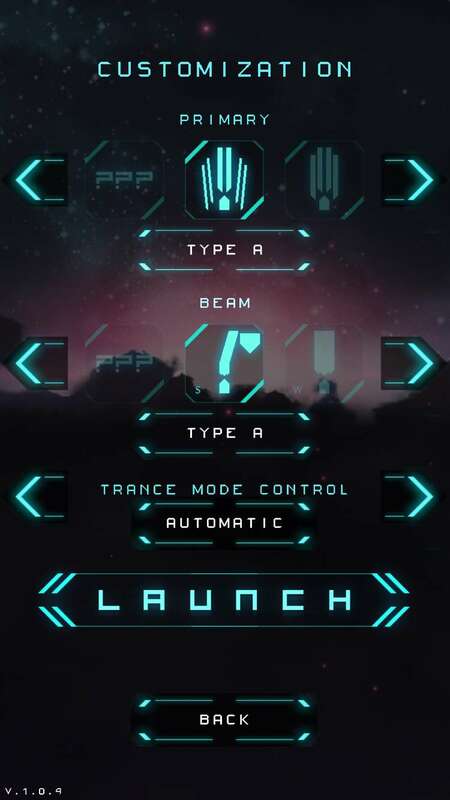 • Brand new SPIRIT/GRAZE system gives beginners an exciting and stylish experience while rewarding skillful high risk plays that genre veterans are capable of. • Chase high-scores with Gamecenter/Google Play leaderboards/achievements integration. • Rocking soundtrack by the talented indie circle Blankfield from Tokyo. I’ll be posting a review here on Arcadelife on (or very soon after) 10 August 2017. Don’t forget to support a struggling, unknown, unloved (and hopelessly melodramatic) author by at least having a look at my other website. 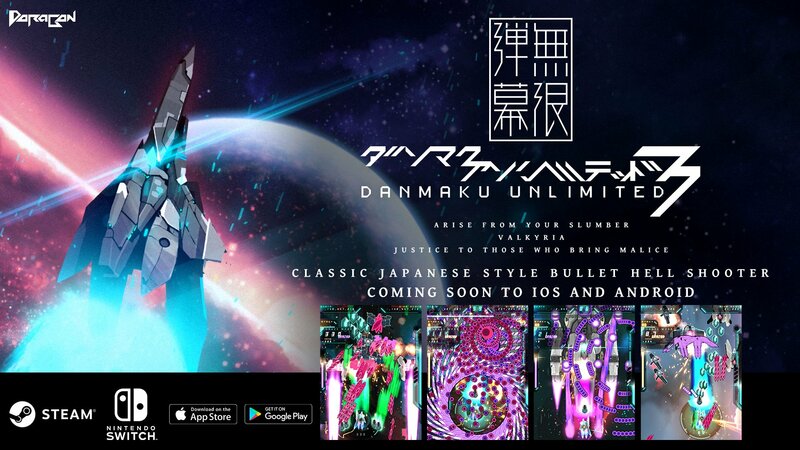 I’m not even going out on a limb here, because this is guaranteed – Danmaku Unlimited 3 is going to completely rule on iOS. August is looking great so far – Boyka: Undisputed on the 1st, DU3 on the 10th. I might even review DU3, even though all my free time these days is devoted to writing and spectacularly failing to market my novels.